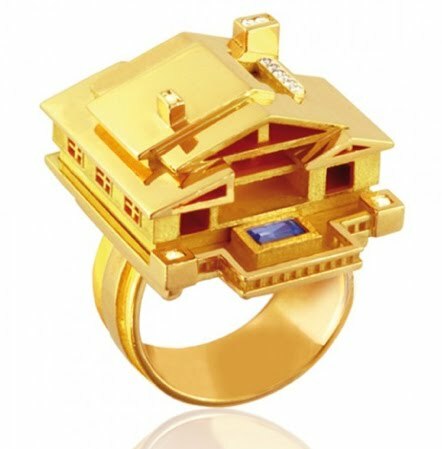 If It's Hip, It's Here (Archives): Wear Your Dream House On Your Finger. 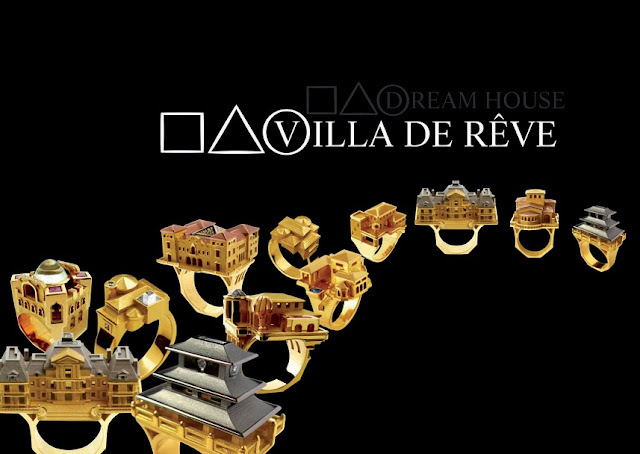 The Villa de Reve Collection from Philippe Tournaire. 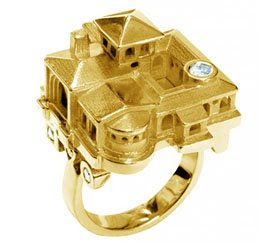 Wear Your Dream House On Your Finger. 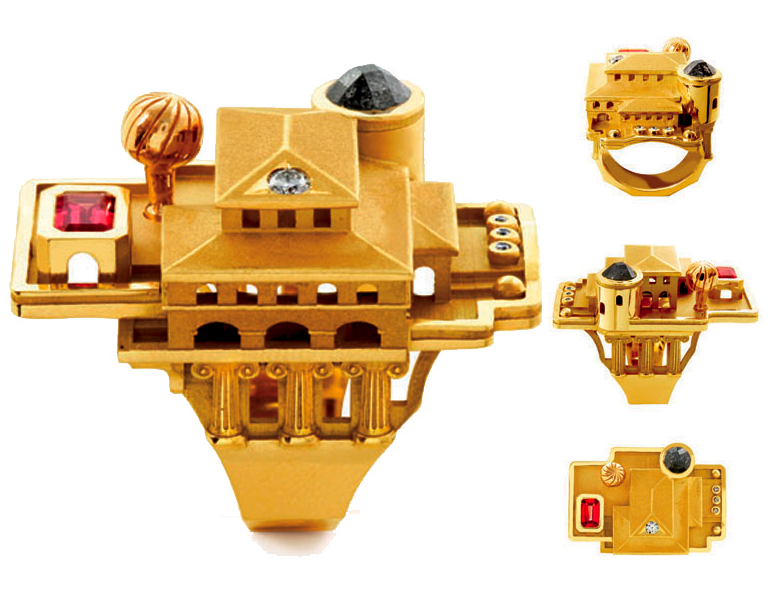 The Villa de Reve Collection from Philippe Tournaire. 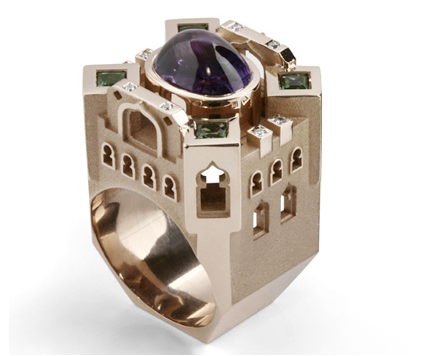 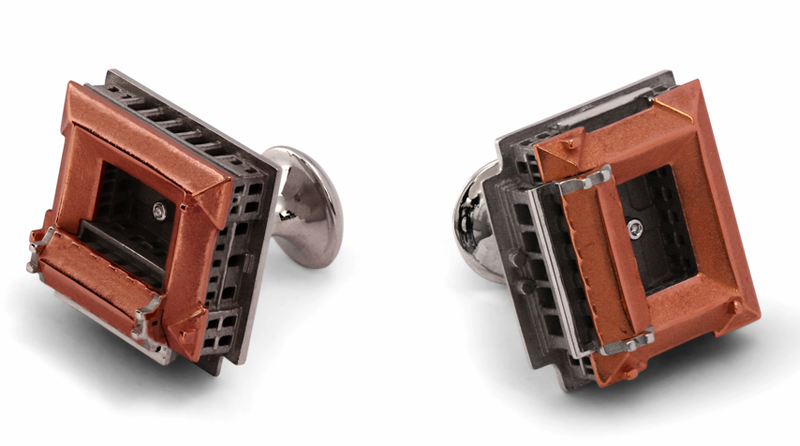 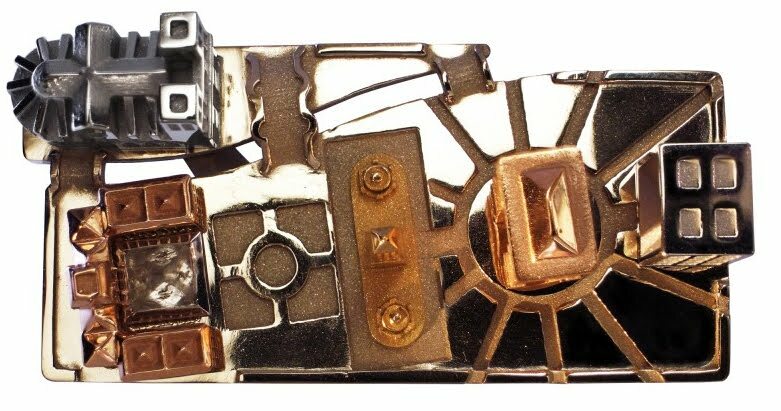 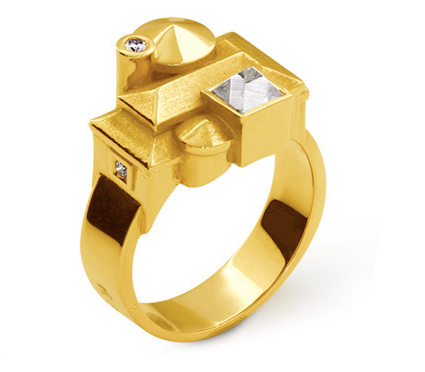 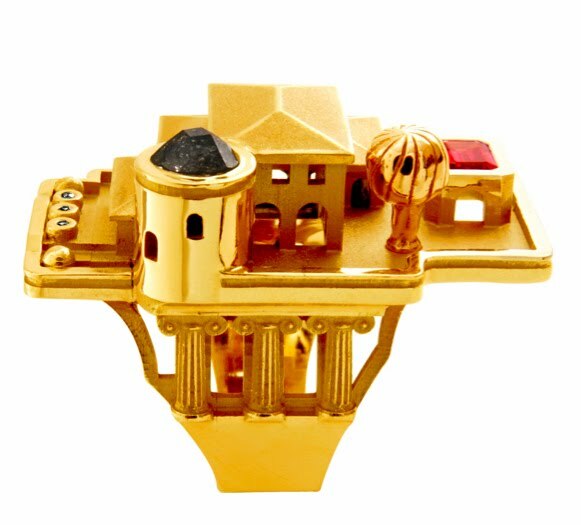 Inspired by the first known architectural rings discovered during the Merovingian age (500 to 752 AD), French jeweler Philippe Tournaire has created a collection of mini architectural bejeweled and gold wearable masterpieces in the form of rings and cufflinks. 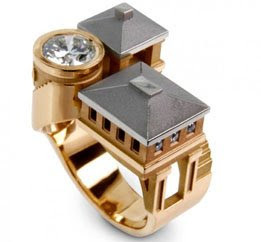 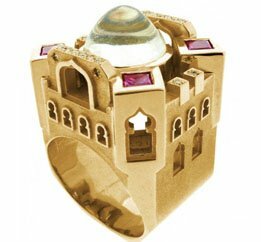 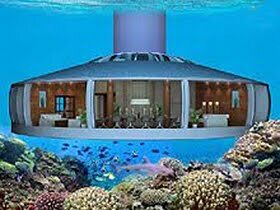 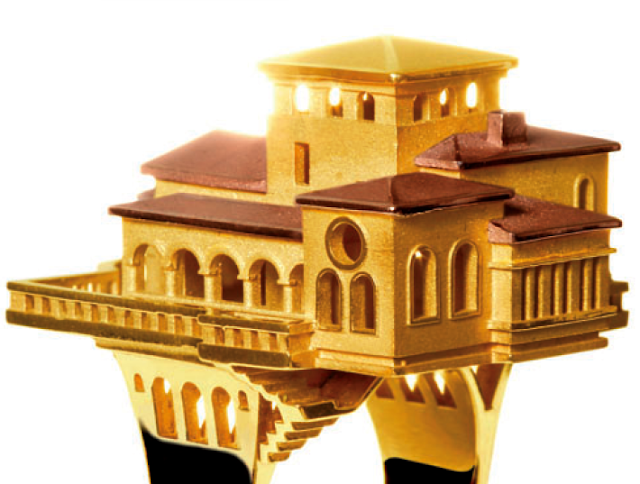 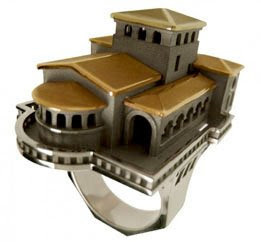 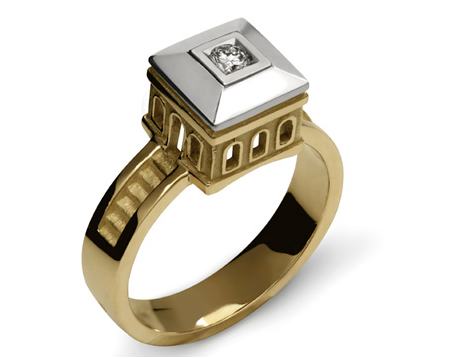 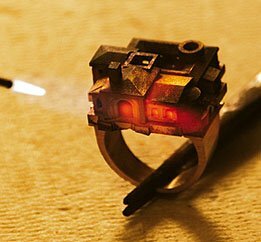 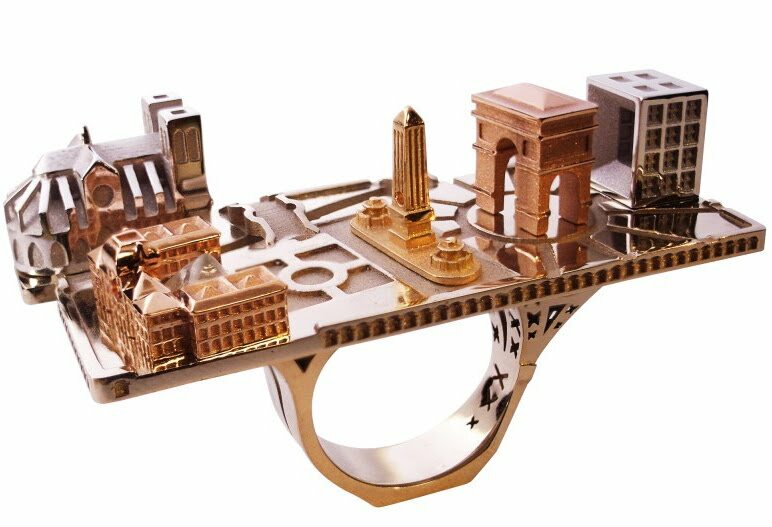 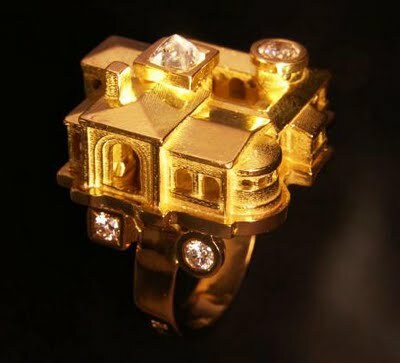 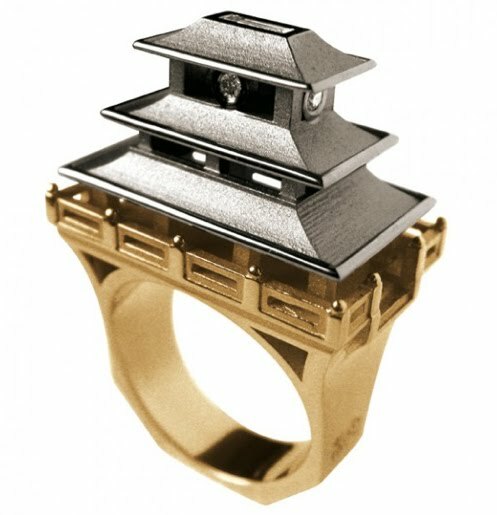 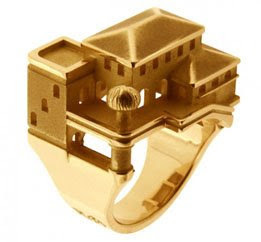 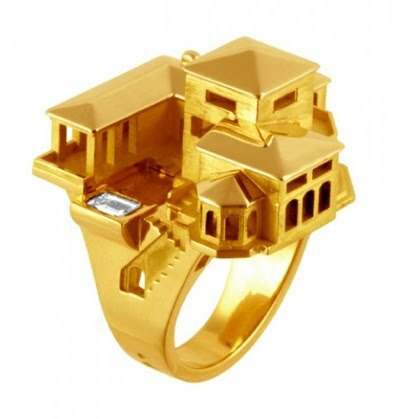 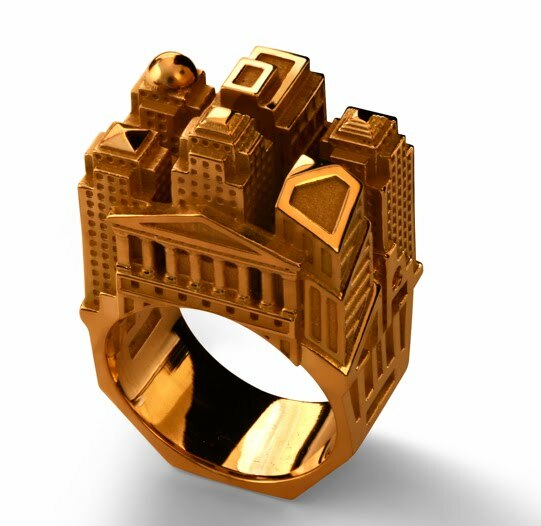 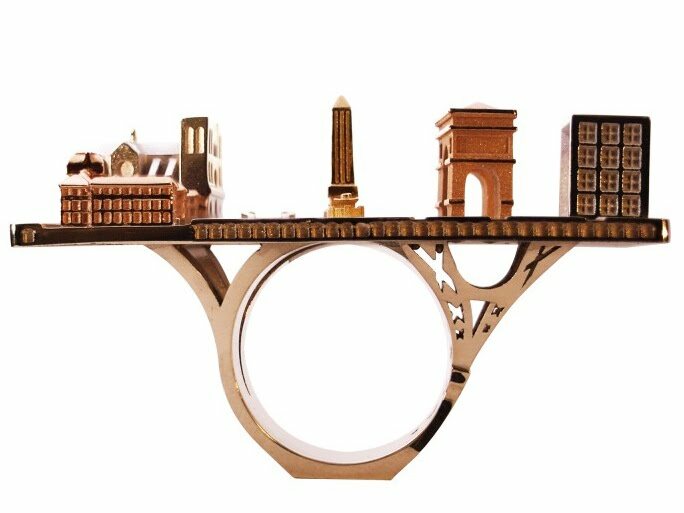 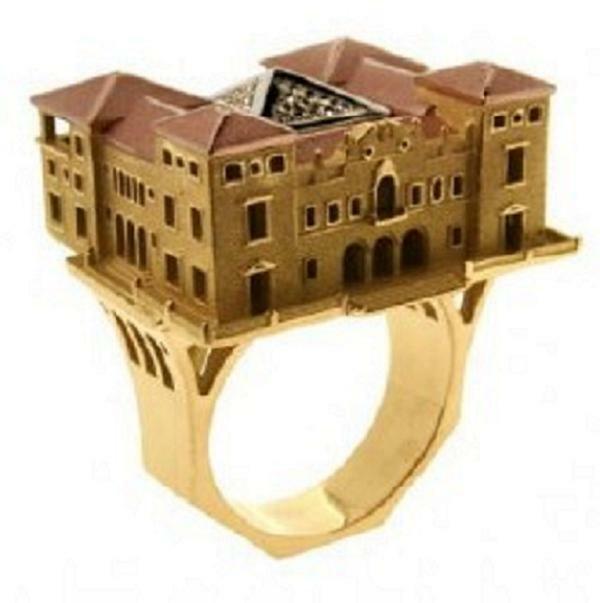 The Villa de Reve (Dream House) Collection consists of finely crafted 18k rings of buildings from various venues ranging from New York to Dubai, some as entire villages, others as homes. 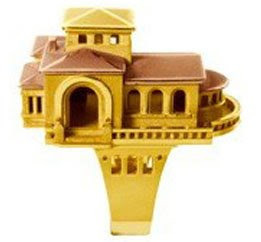 There are even monasteries and chateaus. 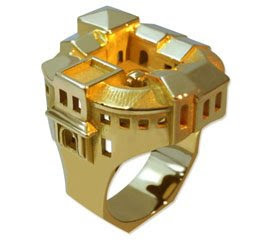 In addition to selling already cast rings, Tournaire will custom create a finely crafted replica ring of any home or villa, in your choice of golds and with or without gemstones. 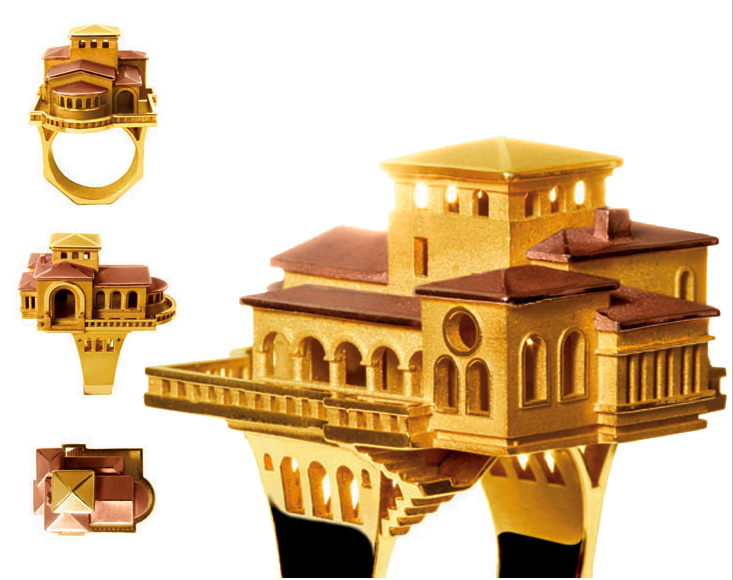 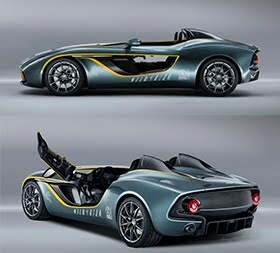 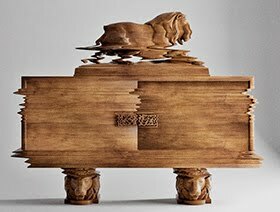 From the initial drawing to the final product, Philippe Tournaire and his team plan and design each piece. 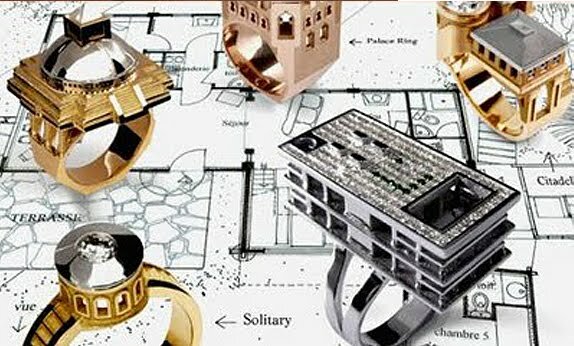 All jewels are hand-made in France only. 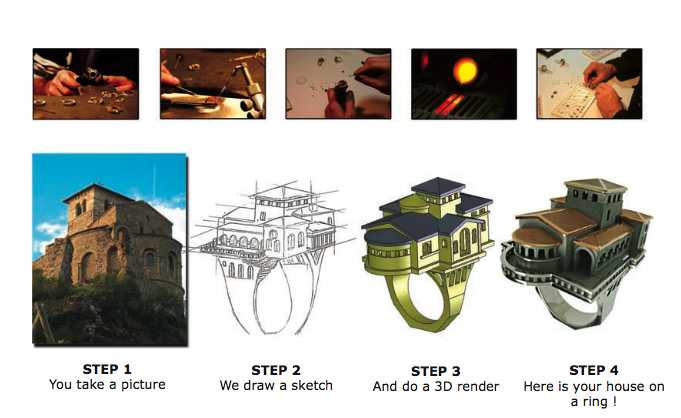 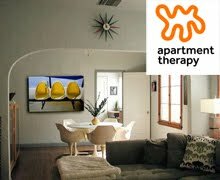 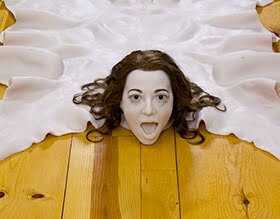 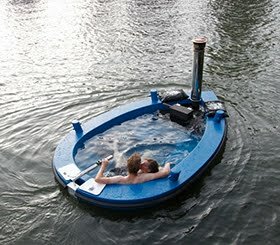 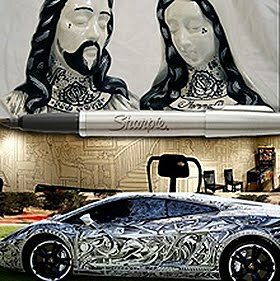 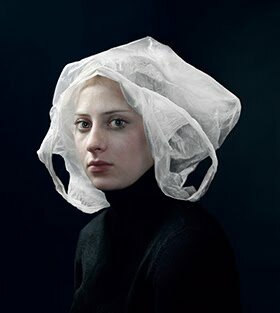 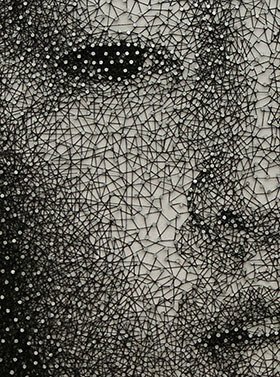 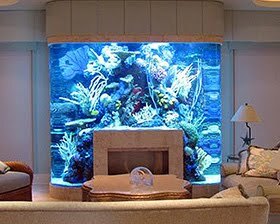 Here are more amazing examples for you. 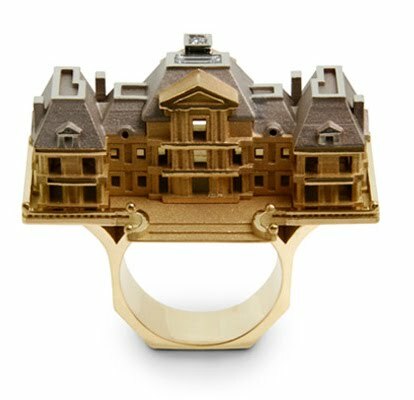 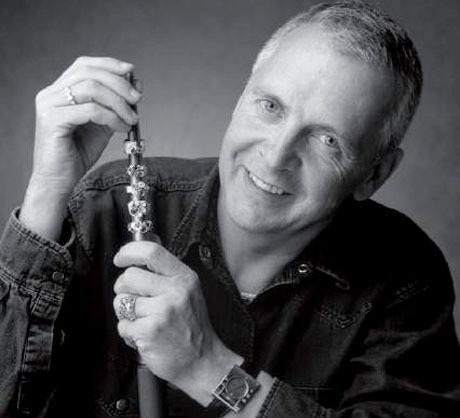 These rings are the latest addition to an already established and respected jeweler, Philippe Tournaire, shown below. 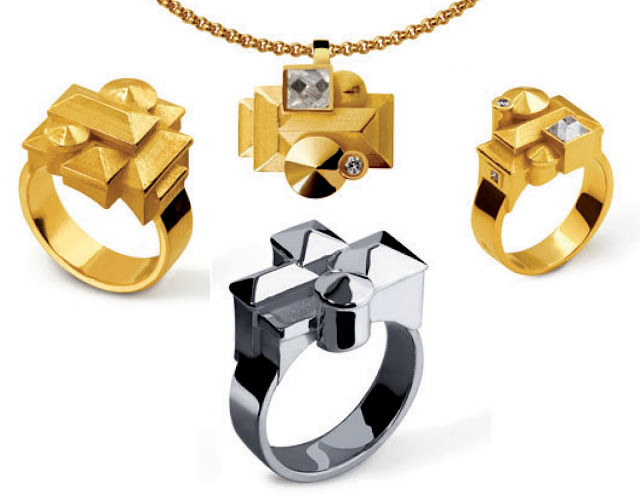 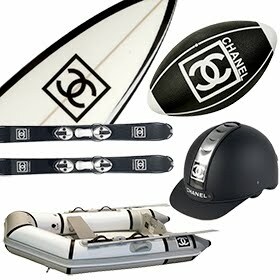 Be sure to visit the site to see the other stunning collections for both women and men.